This email is to update you on our plans to introduce online booking and payments at Kids Club it includes information on action you need to take. I would like to thank everyone who has registered on MagicBooking and remind any parents who have not yet registered that you must do so. Once we begin to use MagicBooking you will not be able to book any places unless you have registered. We plan to begin to use MagicBooking for bookings and payments after February half term. In order to make this transition we need to transfer information about your account into MagicBooking. To help us to do this we are asking everyone to ensure all invoices are paid in full by 9 February. After half term you will be issued with a letter confirming the balance of your account which has been transferred to MagicBooking. In most cases this will be a negative balance as payment for places booked for the second half of the spring term will not have been made. Please return the slip on this invoice to tell us how you will pay, you will be able to pay by credit/debit card in MagicBooking, or by cash/cheque or childcare voucher as normal. During the second spring half term any ad-hoc bookings must be made in the club and paid for, by cash or cheque, at the time of booking. No refunds or credits will be given in-line with our current booking and payments policy. After half term you will be able to book places for the summer & autumn terms. These booking will be subject to our updated Booking & Payment Policy (See: EKC Booking & Payment Policy 25-01-18). For the first 2 weeks repeating patterns for a whole term will be bookable. After that time this restriction will be removed and bookings will be completely flexible. You will be able to pay for these booking using credit/debit card, childcare vouchers (CCV) or tax free childcare (TFC) in MagicBooking. We will not accept cash or cheques for booking made using MagicBooking. You will be able to setup CCV/TFC/card payment plans to spread payment across the booking period. We will email you when bookings open with instructions on how to book. Our staff are now starting to use MagicBooking to access information about your child in club. Please could you ensure your child’s data is kept up-to-date. Please log into MagicBooking (ecclesallkidsclub.magicbooking.co.uk) to check your child’s record. We recognise that parents may need some help getting used to the new system. We will provide guidance on how to make bookings and payments via MagicBooking. We will also arrange some ‘drop in’ sessions for any parents who have trouble with the new system. As with any change of system there will a period of time in which we all need to familiarise ourselves with the new interface. We ask that parents bear with us whilst we make this change & we will provide as much help and guidance as we can. Ensuring that all parents have registered in the system and are up to date with their invoice payments should help make the transition as smooth as possible. 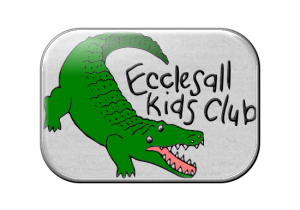 If you have any questions please e-mail ecclesallkids+magic@gmail.com rather than asking staff in the club – the system is completely new to them too. We will get back to you as quickly as we can. Thank you for your ongoing support, we hope you find the new system easy to use and an improvement on our existing processes.